This analysis pertains to texts of preambles of constitutions currently in force which were available online, especially on specialized web sites (e.g. Constitution Finder – Richmond University, Google Constitute, IACL database etc.). 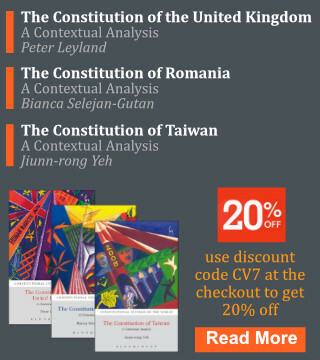 The purpose of the analysis is to question the positions found in the theory of constitutional law regarding preambles, not only because they were formed through an analysis of a small number of actual preambles, but also because more than half of constitutions currently in force were passed after the year 1990, and a third after the year 2000. Accordingly, there is a basis to substantiate the positions of de Malberg, Esmein, Hauriou, Duguit, Vedel, Kelsen and other great masters whose works are the basis, either via paraphrase or quote, for all modern writing concerning preambles (Haberle, Gicquel), despite the fact that the great masters wrote only on the subject of certain constitutions and only those which were in force more than 50 years ago. Of all the analyzed constitution 54 do not contain a preamble, which are the following: Angola, Austria, the Bahamas, Barbados, Belgium, Bolivia, Botswana, Brunei, Canada, Chile, the Cook Islands, Cyprus, Denmark, Djibouti, the Dominican Republic, El Salvador, Finland, Ghana, Iceland, Israel, Italy, Jamaica, Yemen, Jordan, Zimbabwe, Zambia, Lesotho, Luxembourg, Malaysia, Maldives, Malta, Myanmar, Mauritius, Mexico, the Netherlands, New Zealand, Norway, Oman, Qatar, Romania, San Marino, Saudi Arabia, Santa Lucia, St. Vincent and Grenada, Sierra Leone, Singapore, Sweden, Thailand, Tonga, Bermuda, Cayman Islands, Gibraltar, British Virgin Islands, Uruguay and the Vatican. Thus, having a preamble is a dominant characteristic of modern constitutions. Among the remaining constitutions, two groups are differentiated, a small group containing 19 constitutions within which the preamble text is found before the very name of the act (i.e. constitution) which are: Armenia, Bahrein, Bulgaria, Burkina Faso, Costa Rica, Egypt, Estonia, Guatemala, Guyana, Lithuania, Montenegro, Nicaragua, Paraguay, Serbia, Slovenia, Spain, Sri Lanka, the USA and Venezuela, even though the world’s first constitution – the constitution of the USA, placed its preamble before its own name. The location of the preamble, in regards to the remainder of the text, is used by part of classical and modern theorists to deny its legal nature, even though it is now evident that the case in point is an exception, which cannot hold such significance. Among the 134 constitutions which have a preamble only 47 are not titled or named as such: Antigua and Barbuda, Armenia, Australia, Azerbaijan, Belize, Belarus, Bulgaria, Costa Rica, Ecuador, Estonia, Fiji, Gambia, Georgia, Grenada, Guatemala, Hungary, Ireland, Japan, Kazakhstan, Kenya, Kiribati, Kuwait, Kyrgyzstan, Latvia , Liechtenstein, Malawi, Moldova, Monaco, Mongolia, Montenegro, Mozambique, Nauru, Nigeria, Panama, Puerto Rico, Santa Lucia, Serbia, the Solomon Islands, Taiwan, Tajikistan, Trinidad and Tobago, Turkmenistan, Ukraine, the United Arab Emirates, the USA, Vanuatu and Zambia. Thus, all remaining constitutions contain a title for this particular part of the text, i.e. 87 constitutions. Of the 93 constitutions which contain some title before the text of the preamble, 87 use the word “preamble” (Latin, introduction), while 6 of them are titled differently, i.e. : the Constitution of Tanzania titles this part of the text as “Preamble – foundations of the Constitutions”, the Constitution of North Korea titles it as “Introduction”, the Constitution of Bahrain as “Introduction – preface to the Constitution”, the Constitution of Croatia as “Source foundations”, the Constitution of Egypt as “Constitutional proclamation” and the Constitution of Sri Lanka as “Svasti” (Sanskrit, welfare). The shortest preambles among the analyzed constitutions can be found in the constitutions of Greece (from 1975, 1986, 2001 and 2008) which contain only 11 words, which are: “In the name of the Holy and Consubstantial and Indivisible Trinity”, closely followed by the Constitution of Latvia (from 1992 and 1993) which contains 15 words: The people of Latvia, in freely elected Constitutional Assembly, have adopted the following State Constitution”. The longest preamble can be found in the Constitution of Iran (from 1979, 1989, 1994 and 1995) which contains 3,073 words, while other examples of extremely long preambles are rare. Namely, more than 1,000 words are contained in, along with the Iranian constitution, in the Chinese constitution (1,071 words) and in the constitution of Papua New Guinea (2,108 words). It can be concluded that 103 constitutions have up to 300 words, two thirds of the total number of analyzed constitutions, 26 constitutions have from 300 to 500 words, while only 12 constitutions have more than 500 words. In regards to the contents of the preamble, 15 constitutions only contain solemn text without any intrinsic meaning, serving only to emphasize the significance and importance of the constitution as an act and to describe the solemn procedure of passing a constitution. The preambles of the following constitutions have the aforementioned content: Greece, Algiers, Laos, Latvia, Lebanon, Liechtenstein, Monaco, Nauru, Nicaragua, North Korea, Panama, Peru, Sao Tome and Príncipe, Sudan and Australia. The preambles of the remaining constitutions have contents that are more concrete. Their contents pertains to subjects that can be divided into four typical major group: 1) goals and values, 2) history, 3) god and religion and 4) referring or calling upon other acts. The contents of three preambles of extreme length (Iranian, Papuan and Chinese) cannot all be mentioned or grouped, due to their variety and number. This part of constitutional texts is, evidently, specific in its tone, i.e. diction. Namely, this part of the constitution is characterized by a highly emphasized solemn tone achieved through diction, as well as through “big” words and numerous strong epithets. However, along with this characteristic common to all preambles, there are 13 highly solemn preambles: Ecuador, Egypt, Micronesia, Mozambique, Pakistan, Papua New Guinea, Guinea, India, Iraq, Kenya, the Marshall Islands, Zambia and Swaziland. Additionally, of note are the preambles of 12 constitutions the texts of which are of the literary variety, i.e. the language used was not formal in tone, but literary, and in certain places even poetic: Syria, China, East Timor, Thailand, Portugal, Vietnam, Venezuela, Guatemala, Croatian, Iran, Laos and North Korea. Goals and values can be found in almost every preamble, i.e. 121 of the total 140 preambles contain them. However, there are differences in the number of the stated – enumerated values and/or goals, ranging from one value (Andorra, Costa Rica), through 24 (Comoros) and 26 (Chine) and to Papua New Guinea and Iran where this number is much higher, due to the extreme breadth of the text. Preambles most often contain the following values: sovereignty, independence, territorial integrity, democracy, rule of law, social justice, justice, freedom, equality, equal and human rights. The following are less frequently cited: peaceful international relations, prosperity, welfare, pluralism, humanism, protection of minorities, equality before law, self-determination. Finally, the following are only rarely cited: family, protection of nature, brotherhood, multi-party system, separation of powers, an independent judiciary, decentralization, truth. Examples of unusual values should be specially pointed out, such as respect for the elders (Eritrea), living in harmony (Fiji, Liberia, Ukraine), condemnation of nepotism, tribalism, clannism and clientelism (Congo), peaceful change of government (Hungary), wisdom (Ireland), loyalty to the USA (Puerto Rico), a fair relationship between the ruling and opposing parties (Senegal), responsibility of the executive to the parliament (Solomon Islands), happiness of the population (Tuvalu) and the gradual introduction of democracy (United Arab Emirates). It is also interesting that four countries with severe territorial issues have introduced their own expectations for these matters into the preambles of their constitutions: the Constitution of China – unification with Taiwan; the Constitution of Pakistan – unification with other territories into a federation; the Constitution of Serbia – Kosovo and Metochy as an integral part of Serbia and its autonomous status; the Constitution of South Korea – a peaceful unification of the homeland. The second group of typical preamble contents are expositions on the historical development of the country and of events important to the county. There are 56 preambles with such contents, within which of note are a very brief text in the preamble of the Constitution of Pakistan and an extremely comprehensive text in the preamble of the Constitution of Iran. The third group of typical preamble contents are references to god or other religion contents, which are found in 60 constitutional preambles, e.g. in the constitutions of Afghanistan, Albania, Algiers, Brazil, Uganda, Congo, Germany, Ukraine, Greece, Iran, Iraq and Ireland. This type of content is usually brief, only a few words in certain cases (the constitution of Switzerland), while in the case of the Constitution of Afghanistan it is a very comprehensive text. The preamble and Constitution of Iran are a separate case, since they are in fact religious, and not legal, texts. It should be emphasized that within 60 preambles which contain this type of content, only seven are from Europe, while the majority pertain to the Islamic faith. In regards to this, it is also interesting that the preamble of the Constitution of the South African Republic contains, at its end, the same text written in six languages: God bless the South African Republic. The fourth group contains 19 preambles which refer to international documents, universal or regional, most often to the Charter of the United Nations and their Universal Declaration of Human rights, the African Declaration of Human and People’s rights, Convention on the Rights of the Child, in the preambles of e.g. : the Constitution of Afghanistan, Bosnia and Herzegovina, Chad, France. Personal rights and freedoms can be found in three preambles, rather than in the normative part of the Constitutions, in the case of France, Comoros and Cameroon, while the preamble of Lebanon contains the basic provisions of this constitution. The preambles of 128 constitutions state the entity that passed the constitution (with the exception of e.g. Chad, China, Croatia, Monaco and Morocco). Of these, 87 state the people, such as the constitutions of Australia, Albania, Algiers, Cambodia, Cameroon, Estonia, and Ethiopia. The preambles of 26 constitutions state that the parliament passed the constitution, e.g. the constitution of Brazil, Bulgaria, Guatemala, Honduras, Hungary and Iran. Finally, the preambles of five constitutions state that the constitution was passed by the citizens, i.e. the constitutions of Cuba, the Czech Republic, Macedonia, Poland and Serbia, while four preambles state that the constitution was passed by an individual ruler: Bahrain, Kuwait, Liechtenstein and the United Arab Republic (various rulers). Preamble of the Constitution of the Principality of Monaco: (“Nous avons résolu de doter l’État d’une nouvelle Constitution […]”) do state the entity that passed the constitution, i.e. the Prince. Shouldn’t it be listed among other such constitutions ? Thank you for your useful comment. It relates to an oversight which occurred due to the fact that the entity that passed the constitution (i.e. the Prince) is referred to indirectly, which is not the usual case in other constitutions. thank you for explanation. I am glad I could help. It is most of all – very interesting analysis. The Principality of Monaco is the only European country (beside Vatican) which still has octroyed constitution. By the term ”European country” you probably thought member state of European union? We can have a discussion on The Principality of Monaco being officially full member of EU. But I understand what you wanted to say and I agree with you. But if you thought by the term ”European country“ country within Europe (geographic position) then is your statement unfortunately inaccurate. Also Republic of Bosnia and Herzegovina has a octroyed constitution (Annex IV. of The Dayton Agreement). thank you for your kind remarks. You are right: one shouldn”t limit Europe only to European Union countries. I respect other European states and their constitutional achievements and their Europeanism. Bosnia and Hercegovina”s constitution is very interesting and unique constitutional case. The reason I did not mention B&H is the definition of “octroyed” constitution, which I understand in more traditional way as a decision of a singular entity having the status of a sovereign (an authority with constituent power) without the involvement of Parliament – like king, prince, pope etc. This is very interesting information.However, preamble of recent constitution of Nepal (2015) is one of the unique preambles of the constitution, that has not been included.